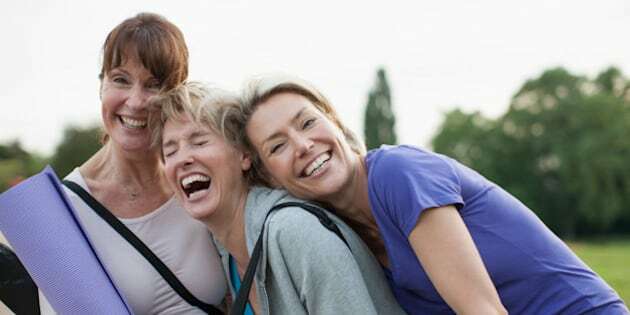 Good friends can actually make you healthier in the physical sense in addition to improving your mental well-being, according to a new study from Concordia University in Canada. Working with a group of 60 international students whose lives were changed dramatically by a move to Montreal, psychology professor Jean-Philippe Gouin observed their health in the five-month study, which was published in Annals of Behavioral Medicine. Dr. Grouin assessed their social integration by means of a questionnaire that also gauged how lonely they felt. With his research team, he tracked the participants' heart rates for changes in what is referred to as high-frequency heart rate variability (HF-HRV) and known in the medical community to be an indicator of parasympathetic nervous system health. "Other research has shown that individuals with a lower heart rate variability are at increased risk for the development of poor health, including greater risk for cardiac diseases," says Dr. Gouin, who holds a Canada Research Chair in Chronic Stress and Health. "Therefore, decreases in heart rate variability are bad for you." Heart rate variability increased for immigrants who formed friendships and expanded their social networks whereas it decreased for those who stayed isolated. "In the weeks and months that follow a major move, people often find it hard to make new friends and establish a solid social network," says Dr. Gouin. "This study shows that such prolonged social isolation can have a negative effect on physical health by impacting our parasympathetic functioning." Dr. Gouin says his study applies not just to immigrants and students but also to anyone for whom life is changing. "The message is clear: Reach out to other people," says Gouin. "The more quickly you manage to integrate socially in your new home, the healthier you'll be. It's easier said than done, but it's worth it."